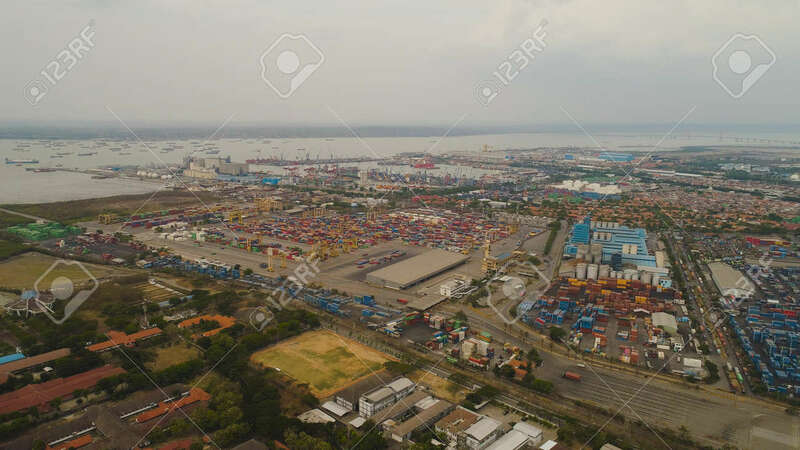 Aerial View Container Terminal Port Surabaya. Cargo Industrial Port With Containers, Crane. Tanjung Perak, Indonesia. Logistic Import Export And Transport Industry Lizenzfreie Fotos, Bilder Und Stock Fotografie. Image 115258422.